As of now, we've learned about a number of different heat treatment processes involving metal, including induction heating, induction hardening, and induction brazing. However, annealing is another common type of heat treatment that alters the physical and often chemical properties of a metal. Before you get started with your own project involving an induction or annealing process, it's important to know exactly how it works. Here's a quick FAQ regarding the process of annealing. How does the annealing process work? The annealing process essentially allows atoms to move within the crystal lattice and decrease the number of dislocations. When performed properly, the annealing process can improve the material's ductility and decrease its hardness. "In its heated, soft state, the uniform microstructure of a metal will allow for excellent ductility and workability. In order to perform a full anneal in ferrous metals, the material must be heated above its upper critical temperature long enough to fully transform the microstructure to austenite," writes Ryan Wojes on The Balance. This 'critical temperature' is referred to as the Curie point, the temperature at which certain magnetic materials undergo a sharp change in their magnetic properties. 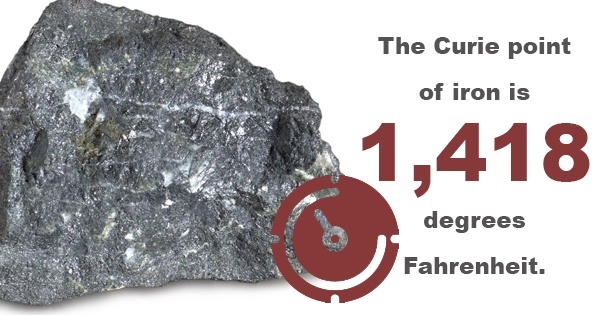 The Curie point of iron, for example, is 1,418 degrees Fahrenheit. After this transition, the metal needs to be cooled slowly to ensure maximum ferrite and pearlite phase transformation. What are the results of annealing? As mentioned, the annealing process causes alterations in both ductility and hardness. The process is intended to make materials more workable and malleable. With this in mind, the process is most often used to soften a metal for cold working, enhance electrical conductivity, and improve machinability. Restoring ductility is also a desired effect. The annealing process also reduces or eliminates the risk of cracking and breakage during cold working. Cold working can cause metal to become hardened to the degree where they'll crack after a certain point, but by annealing the metals beforehand, they can undergo any amount of cold working without risk of cracking and other mechanical stress. Ultimately, understanding the annealing process is the key to determining whether or not it may be suitable for your metalworking needs. For more information about the types of induction heating or induction equipment for sale, contact Ambrell Corporation.